AOL and Facebook are teaming up to bring Facebook chat into AOL Instant Messenger. To try it out, you'll need to download the latest AIM beta for Windows or Mac, or use the Web version AIM Express Beta 7. But, keep in mind that while this little partnership might make AOL look more relevant, it's not the only way you can use Facebook and AIM together. Several alternatives combine other social networks and chat clients as well. 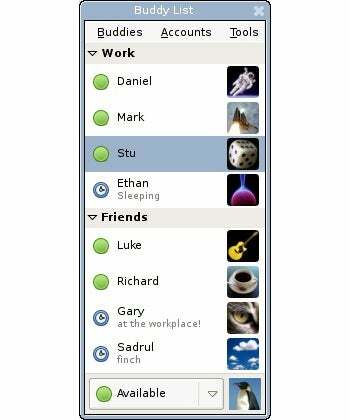 Digsby combines AIM, Facebook Chat, Google Talk, ICQ, Jabber, MSN, and Yahoo into a single buddy list. It also lets you read and set status updates for Twitter, Facebook, MySpace, and LinkedIn. Best of all, Digsby takes a page from Web browsers and lets you have multiple chat tabs in a single window. Tip: Digsby took some heat last year for installing browser toolbars and using idle CPU time for "grid computing" -- a way for the service to make money. You can now disable all these practices during set-up, under the section that says "Keep Digsby Free and Ad-Free." Pidgin's like Digsby, but for open source junkies. It also combines chat clients into one window, and it's got that clean open source look. Facebook support, however, doesn't work out of the box. You'll have to download a plug-in to make it work, and you can also download plug-ins for Twitter, Skype IM, and more. For Mac users, the open source counterpart is Adium, which supports Facebook and other social networks by default. So you're a fan of AIM Express, or generally paranoid about downloading more software? 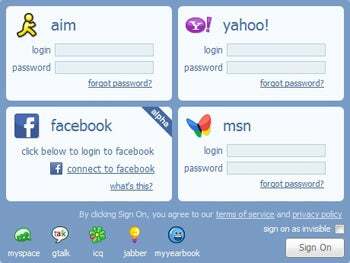 Meebo works from the cloud, supporting AIM, Facebook, Yahoo, MSN, MySpace, Gtalk, ICQ, Jabber, and MyYearBook. 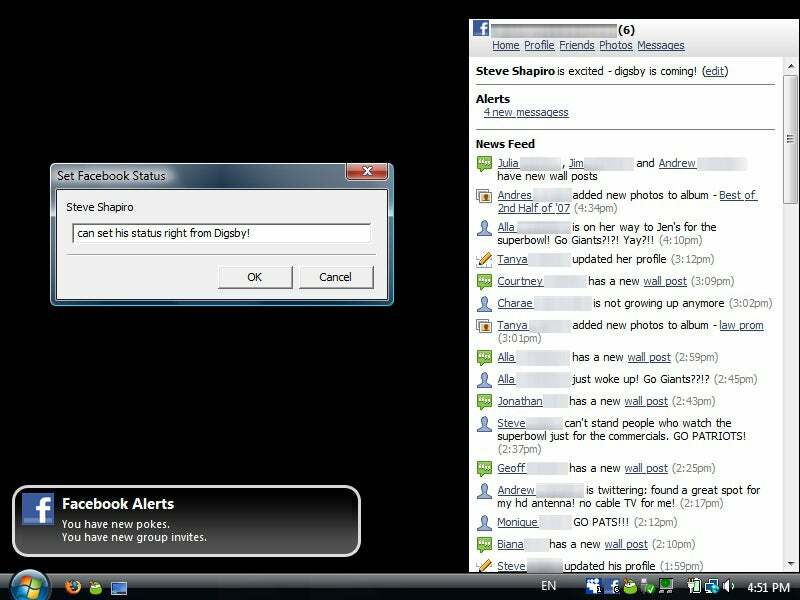 Within one browser tab, you can manage multiple chat windows and move them around the screen as you wish.